Children entering foster care most often come with only the clothing on their backs and Native American youth are placed into care at a disproportionately higher rate than non-Native children. Grandparents are not prepared. This project will provide critical support to grandparents and kinship families who are finding themselves raising family members by supplying "starter kits" of clothing, diapers, and underwear, cribs and beds, bedding and a blanket, and a teddy bear to love forever. 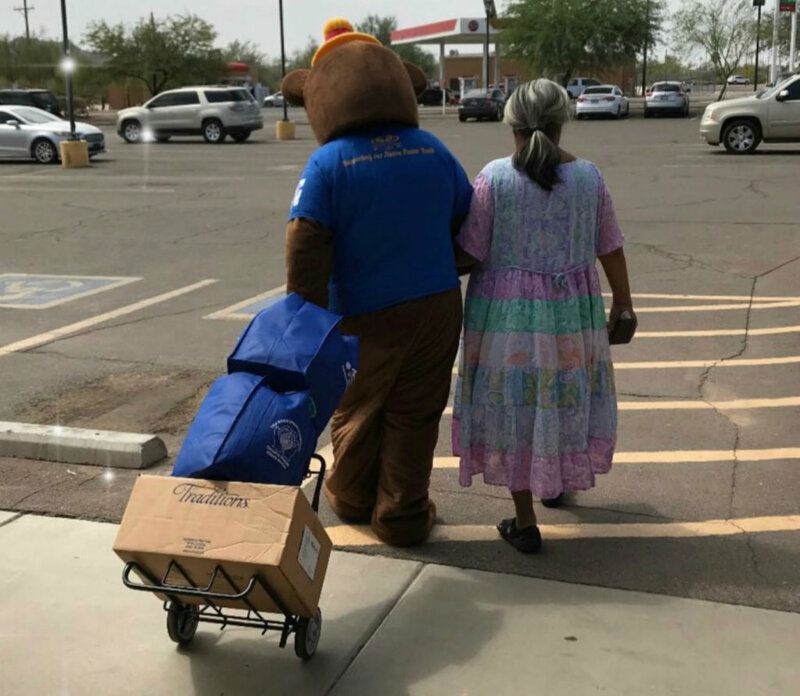 Poverty rates in our Gila River Indian Community are more than three times higher than any other place in the state of Arizona and the number of children being raised by grandparents is statistically higher too. Raising children a second time around is a unique challenge especially to grandparents who are already experiencing poverty and our grandparents are ill-prepared financially to provide immediate support to children who often times arrive with only the clothing on their backs. TPM provides a "starter pack" of basic essentials to kinship families and grandparents raising grandchildren that includes clothing, diapers and/or underwear, a bed or crib, mattress, bedding, and a stuffed animal for each child entering the home so that kinship families and grandparents can begin providing the physical and emotional support required for healing child trauma without the stress of financial concerns of providing basic needs required immediately to care for a child in the home. Addressing immediate basic survival needs assures that caregivers can move forward in providing for the social and emotional health needs of the child as he or she moves into a new life with their caregiver; a life free of abuse or neglect. Supporting the caregiver aids in immediate healing of historical trauma one child and one family at a time that will lead to stronger outcomes in education, decreased poverty, and a decrease of future abuse and neglect within the entire community.